Technology at Manchester Metropolitan University, is working in conjunction with MMU and ServicePower to research additional Quantum powered intelligent decision logic related to field service scheduling. ServicePower filed patents for four new Quantum optimisation algorithms in 2016 which have now been proven to significantly improve mobile workforce deployment and efficiency, up to 50% more than older technologies. In this newest round of research and development, Amy discusses new quantum based improvements in her paper, "Applying the Intelligent Decision Heuristic to Large Scale Technician and Task Scheduling Problems" which has been accepted for presentation to the KES Intelligent Decision Technologies (IDT) 2017 conference being held in Portugal in June. In the blog below, Amy discusses her research and its implications on field service scheduling. My research is focused on solving NP-hard combinatorial optimisation problems, namely technician and task scheduling problems. Basically, and simply I've written mathematical programs that create schedules for businesses and their employees. My solutions tell each employee which jobs to visit, when to visit them, what the jobs will entail and how long the job each will take. To some this may sound like a horrifically boring job. But stop and think about it for a second..... Many of us have now turned to online shopping; its quick and easy, but how does the company know exactly when my product will arrive? What about when my boiler isn't working properly and I need an engineer to come and take a look? Or what about when there's a problem in the water supply and the road needs digging up? The problems I solve have a huge impact on the daily running of our lives. From a business perspective, we want to keep the costs of scheduling our employees as low as possible, whilst ensuring a balanced workload for our employees. To do this, we need to find efficient and cost effective ways to schedule our staff. And that is where I come in! My job is creative (designing solution methodologies), technically challenging (implementing solution methodologies), exciting (solving different types of scheduling problems ) and most of all it is rewarding as I know my work has an impact. 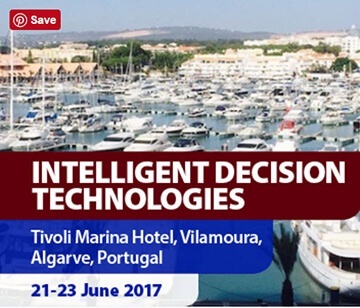 My paper, "Applying the Intelligent Decision Heuristic to Large Scale Technician and Task Scheduling Problems" based on scheduling field techs and tasks, has been accepted for KES Intelligent Decision Technologies (IDT) 2017 being held in Portugal. The paper discusses how scheduling personnel to complete tasks is a complex combinatorial optimisation problem. In large organisations, finding quality solutions is of paramount importance due to the costs associated with staffing. In this paper we have generated and solved a set of novel large scale technician and task scheduling problems. The data sets include complexities such as priority levels, precedence constraints, skill requirements, teaming and outsourcing. The problems are considerably larger than those featured previously in the literature and are more representative of industrial scale problems, with up to 2,500 jobs. In the paper, we present our data generator and apply two heuristics, the intelligent decision heuristic and greedy heuristic, to provide a comparative analysis. Please visit the conference for more information! Amy studied BSc Hons Mathematics at Manchester Metropolitan University (MMU) 2011-2014. She achieved a 1st class honours as well as the Institute of Mathematics (IMA) award. 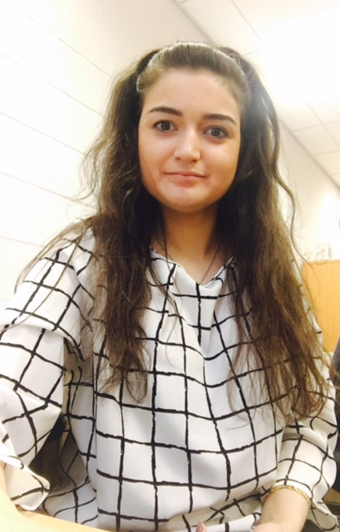 Amy is currently studying a Ph.D. in computational optimisation, at MMU, entitled “Optimisation Techniques for Solving Technician and Task Scheduling Problems“. She is sponsored by and collaborating with Service Power, a world leader in field service scheduling. Amy’s main research interests include; combinatorial optimisation, statistical analysis, scheduling and timetabling. Amy is also a member of the Athena Swan project, which seeks to promote STEM subjects to females and improve the gender imbalance in these subjects.